Jess Birken and Megan Zavieh talk about what it means to productize the practice of law. Productizing is turning information you know into a digital information product that is scalable and available online. This could be anything from a Kindle book to a DIY YouTube video. 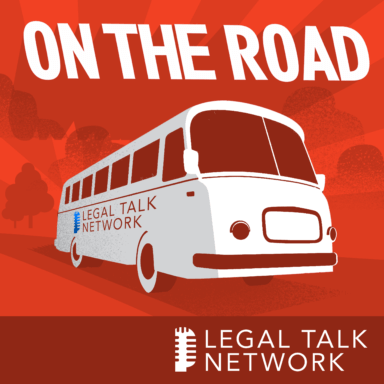 In this On The Road report from the Clio Cloud Conference 2018, host Jared Correia talks with the speakers Jess Birken and Megan Zavieh about what it means to productize the practice of law. They give tips on how lawyers can get started and provide practical examples of ways digital information products can enhance a lawyer’s practice. They also discuss Jess Birken’s side project, Hack Your Practice, in which she offers tech help to lawyers. Jess Birken is the owner of Birken Law Office, a firm designed to help nonprofits and the arts. Megan Zavieh is the owner of Zavieh Law and principal of State Bar Playbook, LLC. Sign up to attend the Clio Cloud Conference next year!